Finally! I have counted all this “inventory” in my home. The last phase of counting and calculation took place this evening. I wanted to work on it earlier in the week, but since the Snowmaggeden bust kept me out of my home the day that I was best suited to do it, I got around to it tonight. So, using the same loose formula I used for my dry goods (gifts have zero value, stuff from Whole Foods bought under retail with my discount, etc. ), I calculated the freezer contents and my refrigerated condiments (i.e., perishable but long shelf life in fridge) came to about $240, so the grand total cost of all my food is $1140. Since starting this project a little over a week ago, I have not gone grocery shopping for myself. The only exception is I stopped and bought a dessert as a hostess gift for a friend who was having me for dinner. I have gone out with friends to eat a couple of times, but otherwise, I have just been depleting my pantry. I will have to make a trip soon for some fresh produce and dairy, but I know I’m saving a lot of money being resourceful. Next phase, of course, is to figure out what I would spend on average in the past and how I am helping my current cause. 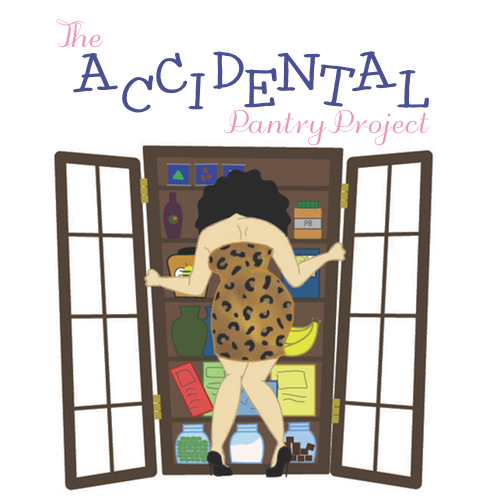 This entry was posted in accidental pantry project and tagged accidental chef, accidental pantry project, budget cooking, cooking, cooking at home, cost factor, dining out, dry goods, freezer, inventory, long shelf life, non-perishables, recipes, whole foods, whole foods market by Anna Papoutsakis. Bookmark the permalink.